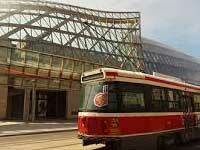 To observe the fine sights and take in the views of Toronto from a great height this is the attraction for you. 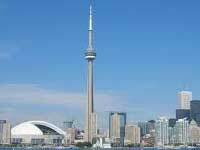 Ascend to the top of this fantastic attraction and you won't be disappointed with the The CN Tower. It is worth the trip to the top to see the whole of Toronto beneath you and absorb the City vista. 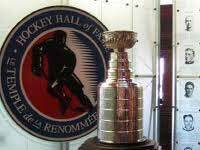 If you are a keen sports fan and you are visiting Toronto a great place to travel to and brace yourself to be taken in by the sport is The Hockey Hall of Fame. At this attraction it really offers up and insight and view of the passion of the sport and is a great attraction in Toronto and if you are not a fan of the sport, an afternoon here might change your mind. 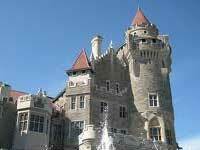 If you wish to visit a location with some history while in Toronto why not explore the wonderfully historic house and interesting tourist attraction that is Casa Loma. Whether you are a history buff or not, this is a great piece of Toronto architecture that won't leave you disappointed. 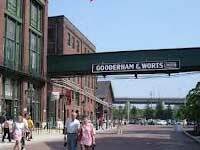 If you are after a varied attraction in Toronto one that offers shops, arts and a perhaps some culture an interesting place to go to is The Distillery District. This location also has bars an restaurants that are among the most varied in Toronto so if you want to relax and enjoy yourself, why not try here. 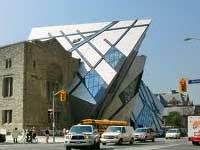 If you want to step back in time while you are in Toronto and you are looking for an attraction that has relics and exhibits that cover key moments in history, why not visit The Royal Ontario Museum. Here is a fantastic array of historic artefacts that are of interest to visitors to Toronto who are both young and old, this is a really great day out. 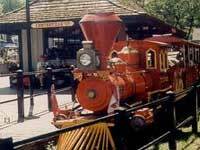 If you are trying to find a few thrills and spills in Toronto why not have a great heap of fun with the whole family at The Centreville Amusement Park. This great attraction offers some fantastic rides and side shows and is where the people of Toronto go to have a brilliant fun packed day, why not join in and have a fantastic time. If you are looking for an artistic attraction in Toronto that offers some of the finest paintings and sculpture in the city you really should make a point of visiting The Art Gallery of Ontario. Here lies a wonderful collection of art that is among the finest in Toronto and when you have finished, why not treat yourself to a coffee and a visit to the shop. 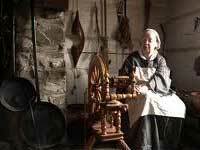 If you are looking for a Museum where history comes to life in Toronto you really should take a trip to the living, breathing historical attraction that is Black Creek Pioneer Village. Here you can look back to see just how people lived and worked in Toronto you really feel like you are stepping back in time, it is where education becomes reality. 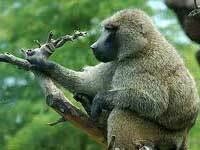 If you have a love of animals and wish to see a varied selection while in Toronto why not take yourself or perhaps your loved ones to visit the highly acclaimed Toronto Zoo. This attraction is a real asset to Toronto and is place you will make friends with the inhabitants and create fond memories. 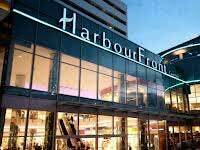 If you like the performing arts and wish to absorb something while in Toronto why not take in a show and witness dancing and expression at the amazing and highly esteemed Harbourfront Centre. This is a fantastic Arts Centre, and a true asset to Toronto this is a facility that offers culture and a fantastic cup of coffee.